How is your aim? 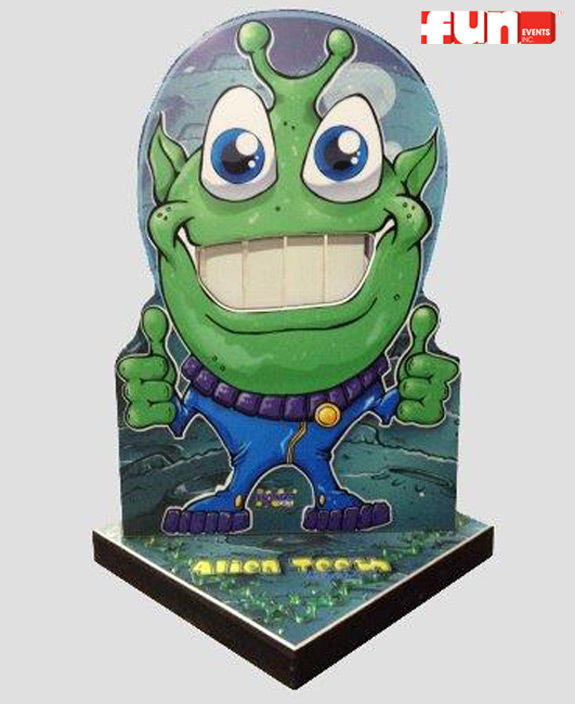 Do you think you can knock out this alien's teeth? Your guests get to throw up to 3 bean bags. Knock 2 of them backwards and win 2nd place prize. Knock all 3 backwards and win 1st prize!